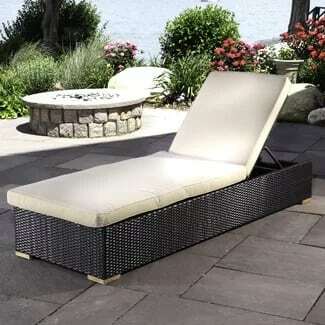 Wicker is a popular material for outdoor furniture due to its durability, beauty, and overall luxurious feel. 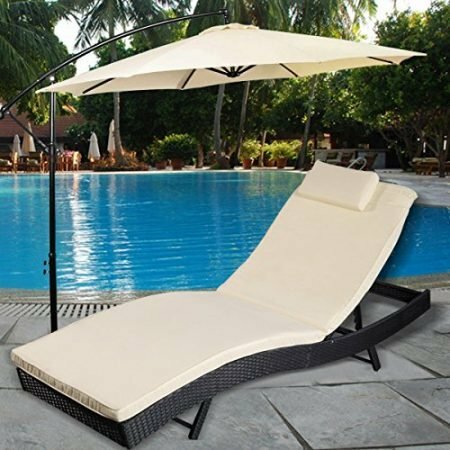 One of the most popular options are wicker chaise lounge chairs. 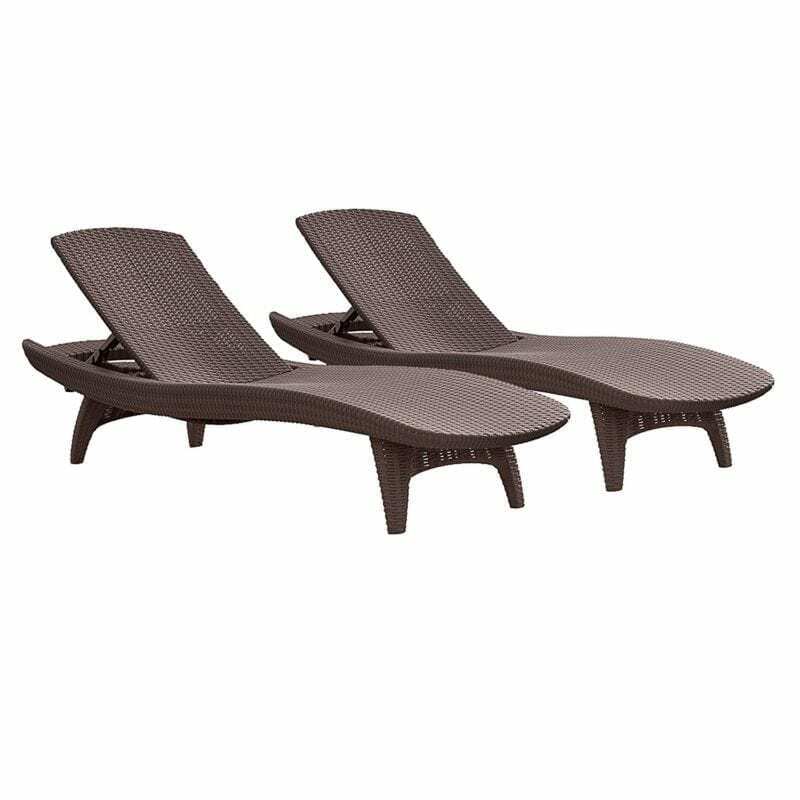 They come in colors like black, white, beige, and brown. 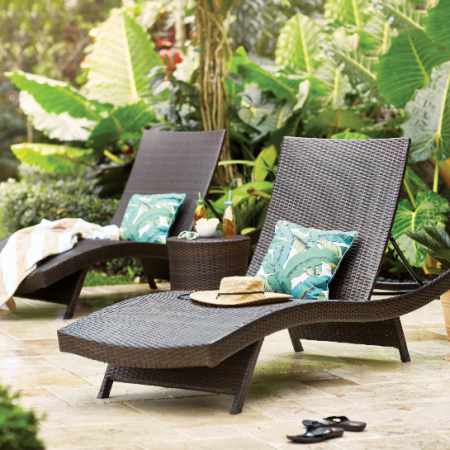 Certain options are cushioned wicker chaise loungers, which are perfect for a patio. In order to find the best wicker money can buy, you want to look at high-quality PE Rattan Wicker that is made from weaving together plant stalks, shoots, and branches. 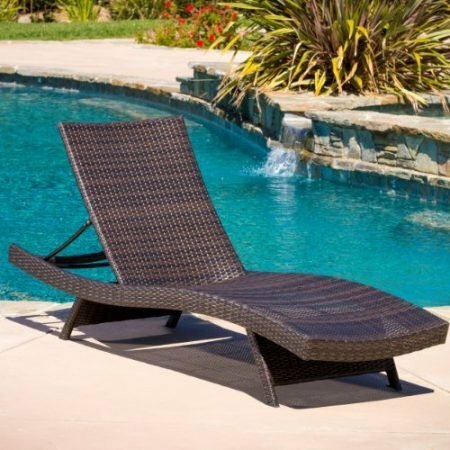 Since Wicker is perfect outdoors and we all like to soak up the sun on our outdoor patio, we decided to put together a list of our favorite wicker chaise lounge chairs. 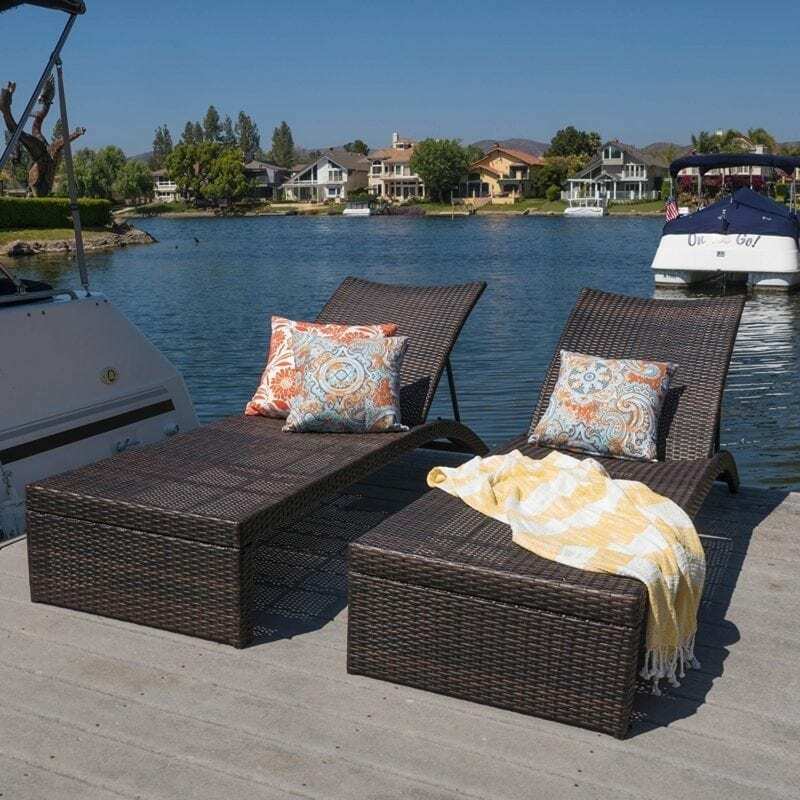 There are plenty of options here for you so you are sure to find something that is either affordable or of such a high-quality that it will last a lifetime. 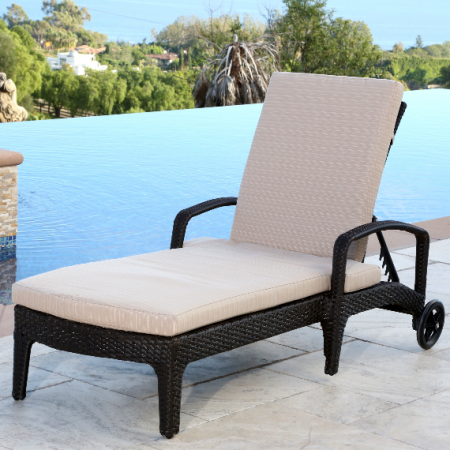 Resorts are using cushioned wicker furniture more and more because of how nice it looks and the value that it adds. 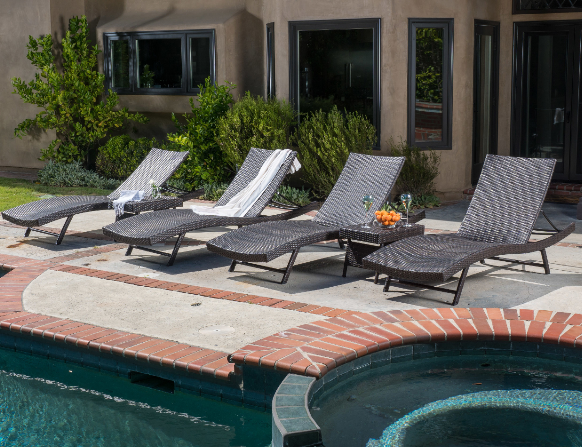 People are doing the same thing in their own backyards with wicker furniture and chaise lounge chairs. 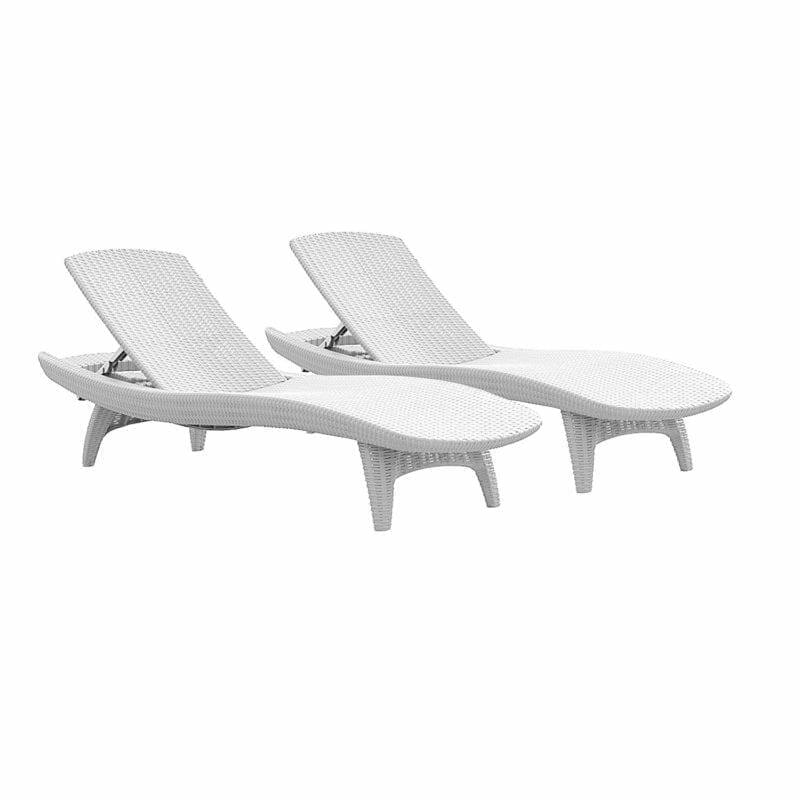 You can also view our guide to outdoor wicker furniture if you are looking for a complete set. 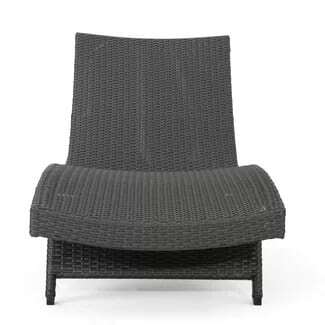 We go through tips and strategies below when you are shopping for wicker chaise lounge chairs. 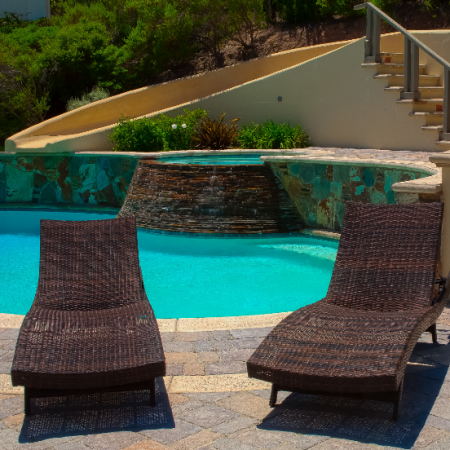 There are a lot of things to consider from color to style to price. 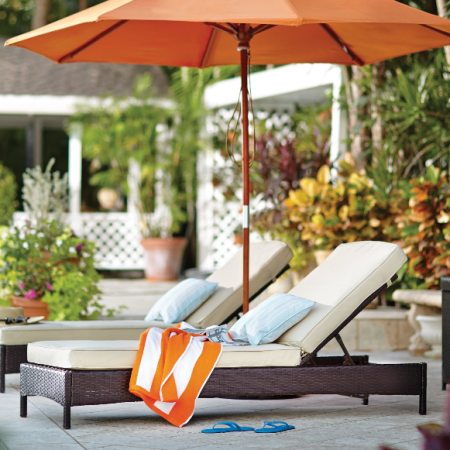 The color you choose should mesh with the rest of your outdoor space. 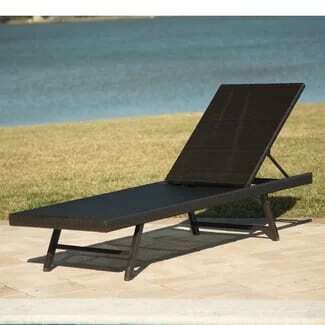 If you have a lot of dark colors, you might look for a black or dark brown wicker chaise lounge chair. 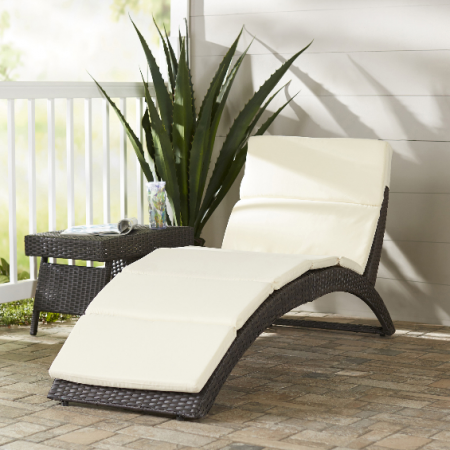 Otherwise, you can choose white, beige, or light brown if you are looking to add lighter and brighter colors outdoors. 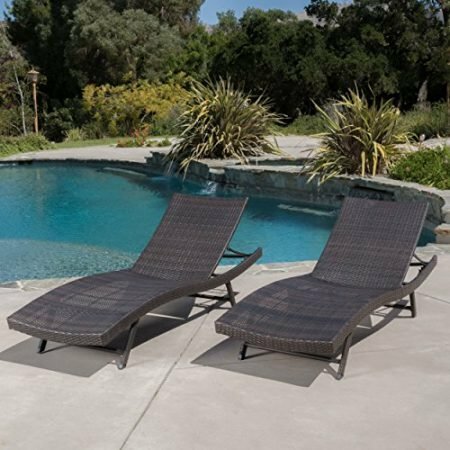 There is plastic wicker material and there is real wicker material, and usually the more expensive the rattan chaise lounge chair the longer it will last, mainly because the wicker used is directly from plants and not manufactured in a plant. 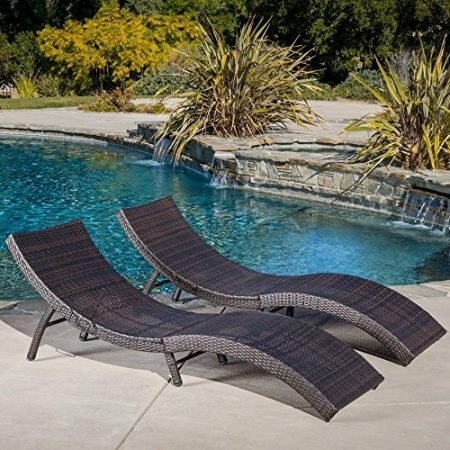 Do you only need a couple of wicker chaise lounge chairs or do you need some for the whole family? 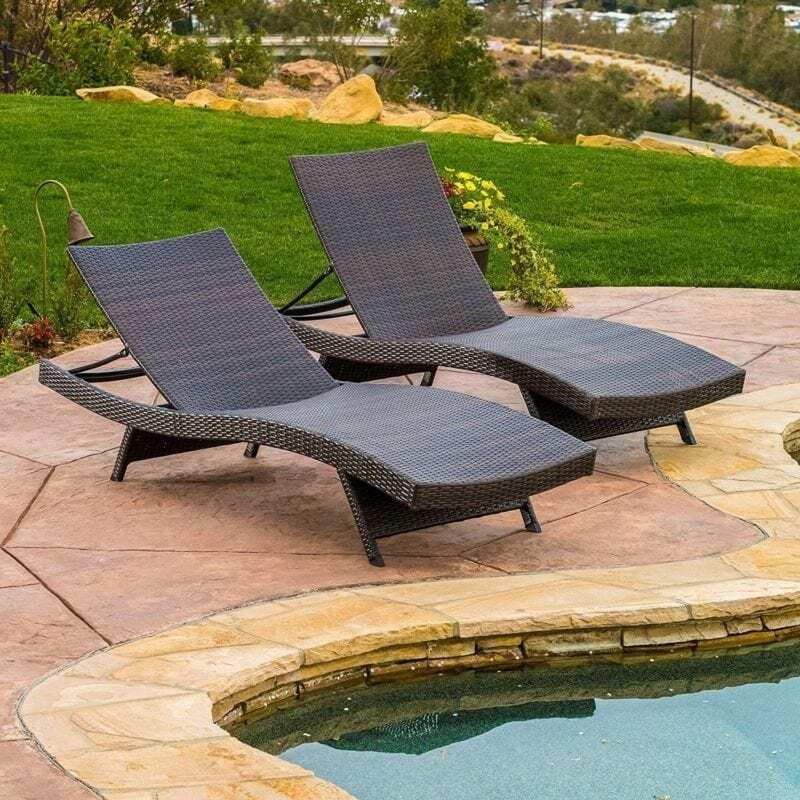 You might even opt to just have one if you are the only one that uses it, but having two makes your patio look nicer and more complete. 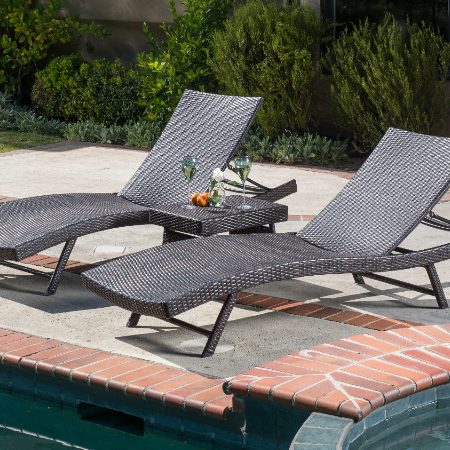 I prefer wicker chaise lounge chairs with cushions because they look nicer and are more comfortable. 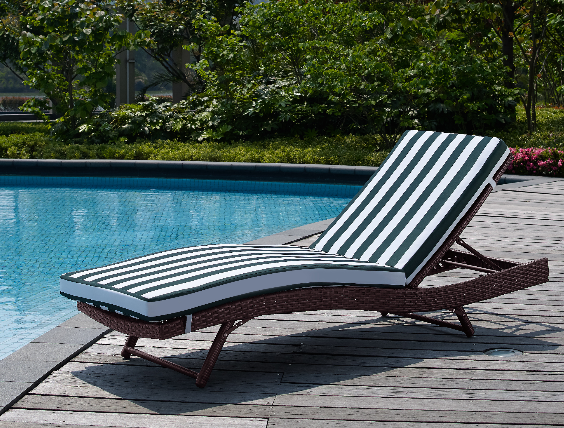 You can protect your cushions by keeping them stored away when you aren’t using them and they will last longer. 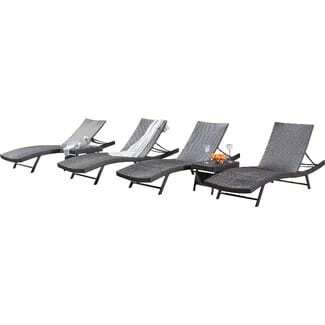 Some lounge chairs come complete with cushions otherwise you can buy cushions from your local store or online. 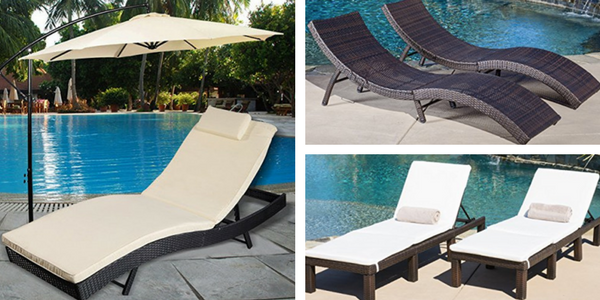 Cushioned wicker chaise lounge chairs are not only comfortable but they also look beautiful. 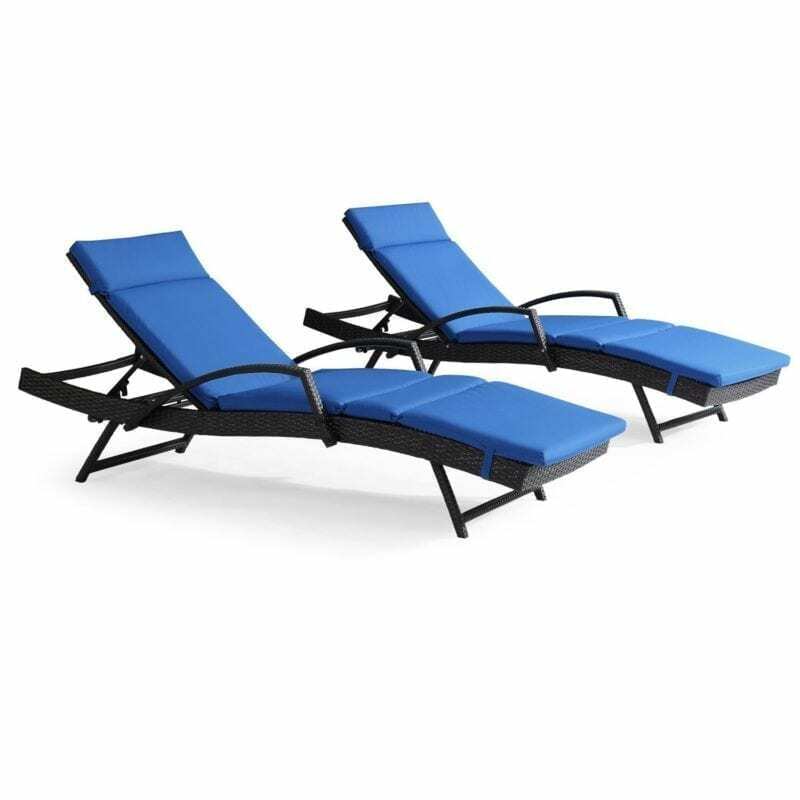 Some of the options are flat on the bottom and where it folds while others are curved for your body. 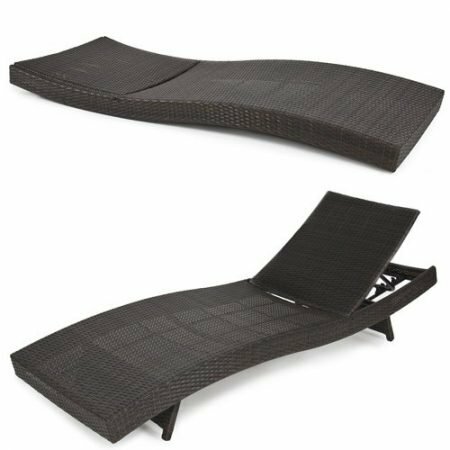 I prefer the flat options with a cushion but the curved options look modern and beautiful, and some prefer their comfort as well. 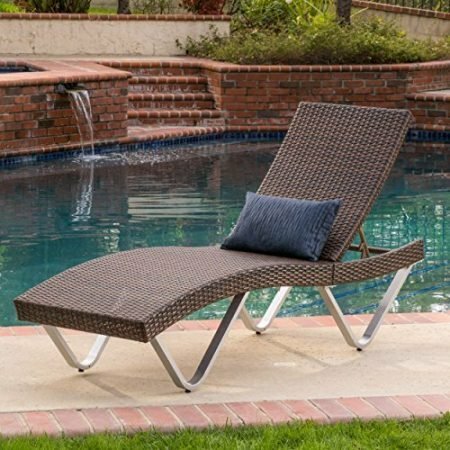 Hopefully you can find the wicker chaise lounge chair that will fit your outdoor space and be functional and wonderful for years to come. 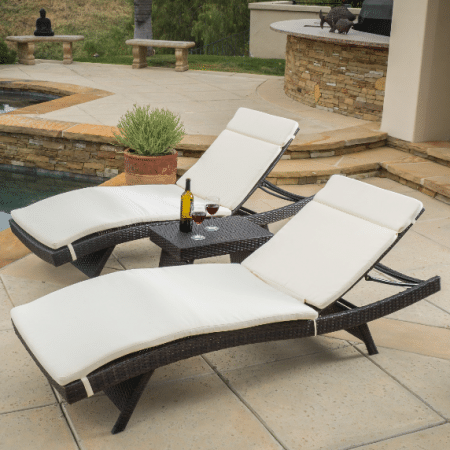 My recommendation is to save up and get a luxurious set that will last year after year without any issues. 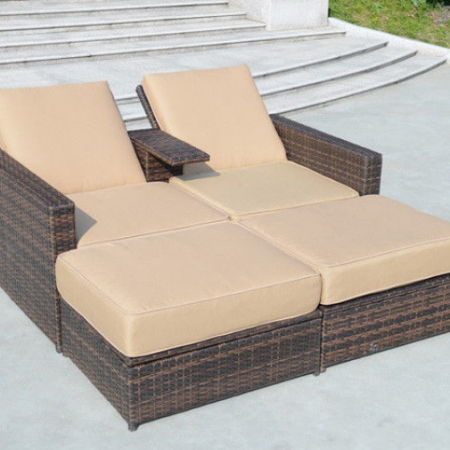 Rattan Wicker is such a durable material that you will never have to worry about it cracking or withering away. 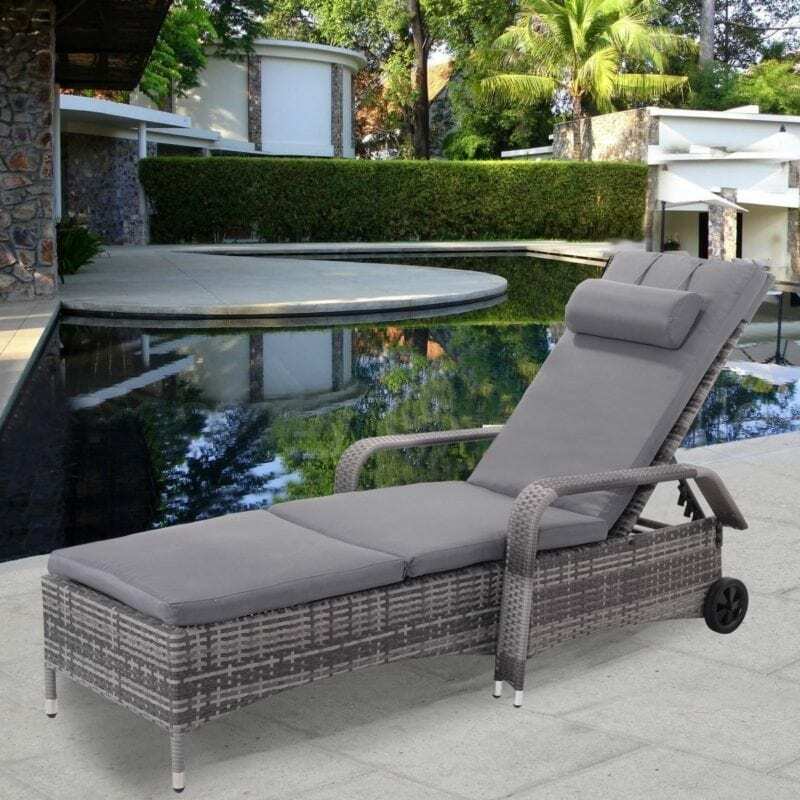 Hopefully you can complete your outdoor decor today with a brand new wicker chaise lounge chair, as it will help you relax and soak up the sun properly. 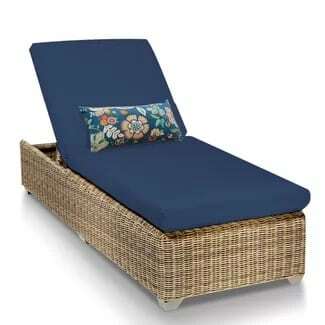 This entry was posted in Beach Outdoor Decor, Beach Themed Furniture, Wicker Furniture and tagged patio furniture, wicker.